A look at the changing membership profile of the club over the years. The following is a transcript of a talk given by Lawrie Wright to the Hertford and Ware Historical Society in September 2011. All clubs are the product of their members, past and present. Hertford Cricket Club is no exception. But who were the members? What did they do for a job? Where did they live? This note tries to shed light on these aspects of the club’s history and also show how the composition of the club has changed over the years. Hertford’s history is bound up with the history of the game in general. The origins of cricket are obscure. There is a report of something akin to cricket being played at Guildford in the middle of the 16th century on land also used for bear baiting. The game steadily evolved over the next century. By the 18th century it is certain that games were being played regularly between the famous public schools and also between colleges at Oxford and Cambridge albeit in a fairly casual manner. The modern game developed between 1770 and 1780 notably in the southern counties of Hampshire, Kent and Surrey. The village of Hambledon in Hampshire was ‘the nursery of the best players and the down of Broad Halfpenny the area of their glory’. At this time much of the support for the game came from the landed gentry either by providing grounds to play on or by supporting teams. Two reasons for this seem to have been (a) it was fashionable to support a cricket team in the same manner that it had been fashionable to build a large house, develop extensive gardens or import exotic foreign plants and (b) there were endless possibilities for gambling on the outcome of the game. I should say here that of all games cricket is both one of the most predicable and one of an infinity of statistics. Gambling was a very big part of these early games and of course today gambling on the game has become international. The evidence suggests that the game was popularised by the gentry and spread (quickly) to ordinary townsfolk and villagers. Of course the latter groups may have started the game but failed to retain any evidence of their efforts. By the middle of the 18th century cricket was being played quite widely among ordinary local sides. It was popular across Hertfordshire. Locally one of the earliest records is for 1737 when a match was played between eleven gentlemen of the corporation of Hertford and eleven of Stanstead for 200 guineas. Upwards of £1000 was reported to have been won and lost on the match which Hertford lost. In the same year a game was played between Hertford and Brentwood for £200. A further £2000 is thought to have been wagered on the result, a truly huge sum of money. Incidentally Brentford won by six runs. The gentry do not seem to have played a very big part in promoting the game in Hertfordshire. Games tended to be played by ordinary people in local places such as Hartham, but Lord Frederick Beauclerk, the fourth son of Aubrey, the Fifth Duke of St Albans was for fifty years the dominant force behind the game nationally. Cassiobury, Gorhambury, Hatfield, the Grove and Moor Park did, however, become significant centres. One of the earliest records of cricket in Hertford is of three matches played against Ware in 1788. Hertford won two of them. They attracted a lot of rivalry and local interest apparently. One Ware player is reported to have been so mortified at a partial defeat and the loss of a well contested field, that in a paroxysm of rage and vexation he went home and burnt his breeches. There are score cards for each of the games but apart from the names of the players nothing is known about them. Although there are a growing number of match reports in the Mercury as the years passed, there is not much information about the composition of the club or its organization. Until the 1841 census we know next to nothing about the players beyond their names. The census of that year and every ten years thereafter enables us to track the occupation and address of people. Important though this is it only gives the barest of details. Almost the only early player we know a significant amount about is John Hughes who played in the second half of the 19th century. He was a pipe maker who lived in the Folly area and had family connections with the Barge Inn. However, he also happened to be one of the finest bowlers in the whole of England (although he never played for England) and made a tidy income from playing cricket in the County and in the London area. Among other players from this period we can identify at least two brewers, a solicitor, a stone mason, a printer and publican, a tailor and draper, and a boot-maker. We do know that for much of this time Hertford played on Hartham. Balls Park was the home of the Balls Park side, a team composed largely of workers at the big house. As near as we can tell the first Hartham ground was close to where the old Eastern station now stands. When the railway was built the ground was moved a few hundred yards to where the tennis courts are today. Hartham was in those days still a regular flood plain not a made level as it is today. Consequently, with careful preparation the wickets could be reasonable. In 1876 and 1877 a County trial game was played there. However, it was not very satisfactory. The ground was subject to Commoners Rights, no reservation could be made, and wickets prepared overnight were frequently found on the next morning to be occupied by small boys, or the cattle had had a war-dance over it during the night. Conditions clearly worsened in the early eighties and it is hardly surprising that interest both in playing and especially in running the Club waned. Most worrying of all, the club’s debt steadily mounted until by 1882 it was in excess of £30. It says something about the social composition and perceived standing of the Club that on the 28th March 1883 a meeting was held in the Council Chambers of the Town Hall under the chairmanship of the mayor to re-organize the Club onto its old footings and to return it the enviable position it once held. One possible solution raised was for the club to move to Balls Park where there had been a ground. 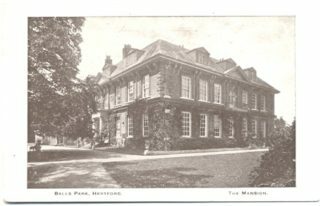 Hertford had played there from time to time but it had been used, mainly but intermittently, by the workforce of Balls Park house. Shortly after the meeting George Nicholls (of Nicholls brewery) and Edmund Baker (another brewer) wrote to Sir George Faudel-Phillips asking for an appointment. This was promptly granted. The request to be able to play cricket in Balls Park was clearly not unexpected and an agreement was soon drawn up. Hertford have played there ever since except during the First World War when the Faudel-Phillips decided the field should be used to produce pasture for the war effort. Since 1883 the game of cricket has undergone many changes but so too has society, no less in Hertford than elsewhere. The regular ten year census continue to enable us to determine what jobs the players had but in addition from that date we begin to have names of the presidents and vice presidents as fixture cards with this information begin to survive. Although there is not a complete set of cards enough have survived to allow at least an initial study to be made. Of course it has not been possible to trace the employment of all involved but a partial picture at least does begin to emerge. In 1885 the Hertford Town Cricket, Lawn Tennis and Football Club had a President, two vice presidents, and a committee of ten. The cricket sub-committee comprised seven members. The President was Thomas Sworder. Thomas J Sworder was the eldest son of Thomas and Frances Sworder. 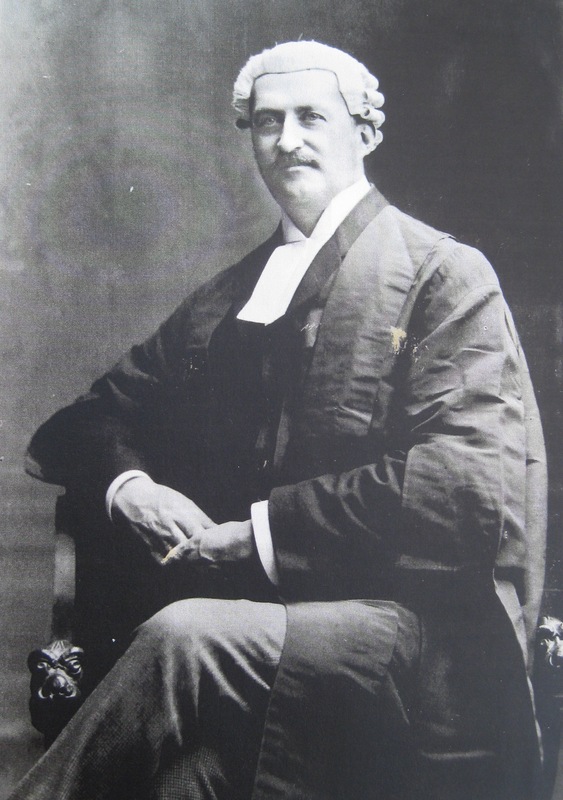 Thomas senior was a solicitor and became County Coroner in 1851. His firm merged with Longmore’s to become Sworder & Longmore. The family, which expanded to include at least five servants as well as ten children lived at Wallfield House. T.J. had two brothers, Edward Robert, a year younger, and Frederick William. The latter died at the age of 12 but Edward would also take up cricket. T.J. followed in the family business and took over Wallfield House after his parents died, Thomas in March 1875 and Frances a year later. Thomas J. married Sarah Parks and they had two daughters., Ethel and Elfrida. They moved to Balsams at the top of Queens Road in the 1880s. T.J. was much involved in the affairs of Hertford, be it sports clubs, public works, small businesses or charities. He was a keen member of the Rifle Club, and the Militia (Herts. Volunteers). His name is to be found in cast lists of local dramatic efforts. He followed in his father’s footsteps as coroner in 1875. He was chairman of the club for many years and following the move to Balls Park became the first President of the club, a position he held for 21 years. The two vice presidents were the Hon. Baron Dimsdale and George Faudel-Phillips. Robert Dimsdale (1 July 1828 – 2 May 1898) was an English Conservative politician who sat in the House of Commons for two periods between 1866 and 1892. Robert Dimsdale was born at Hatfield, Hertfordshire, the son of Charles John Dimsdale, and his wife Jemima Rye. He was educated at Eton and Corpus Christi College, Oxford. Dimsdale was a Deputy Lieutenant for Hertfordshire and a JP for Middlesex and Westminster. In 1872 he inherited the title Baron Dimsdale of the Russian Empire. The barony had been conferred by Catherine the Great on Thomas Dimsdale, an ancestor, who had inoculated her son against smallpox. Robert Dimsdale stood unsuccessfully for parliament at Hertford in 1859 but was elected Member of Parliament for Hertford in 1866 and held the seat until 1874. 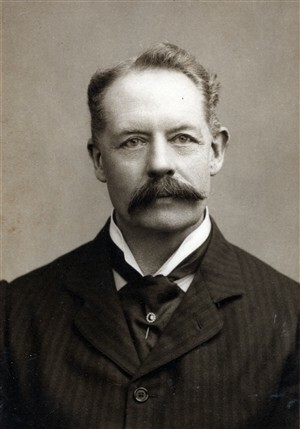 He was elected for Hitchin in 1885, and held that seat until 1892. 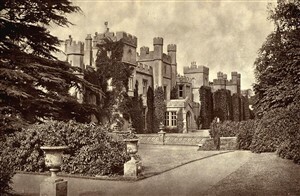 Dimsdale married Cecilia Jane Southwell and lived at Essendon Place, Essendon, Hertfordshire which was the family seat. Dimsdale died at the age of 69. 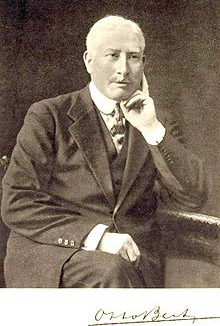 Sir George Faudel-Phillips, Bart., born in 1840 was the second son of Sir Benjamin Samuel Phillips. George Phillips, who derived the name of Faudel from his uncle, was educated at University College School, completing his studies in Berlin and Paris. He then entered his father’s law business. In 1867 he married Helen, daughter of Joseph Moses Levy, the proprietor of the “Daily Telegraph,” and sister of Sir Edward Lawson, later its chief proprietor. His sister Sarah is the Lady Pirbright. 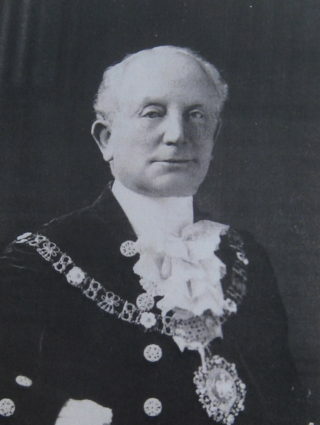 He was appointed sheriff of London and Middlesex (1884-85); succeeded his father as alderman of the ward of Farringdon Within (1888); and became a governor of the Honourable Irish Society (1894). The following year he was created High Sheriff of the county of London, and in 1896 he became Lord Mayor of the City of London. As chief magistrate of the city, Faudel-Phillips received Queen Victoria at Temple Bar on the occasion of the Jubilee thanksgiving service which was held at St. Paul’s Cathedral and subsequently at the Mansion House. His year of office was one of remarkable philanthropy. He raised funds which amounted, in the aggregate, to £1,000,000 for the relief of the famine in India and for other charitable objects. He was the recipient of numerous honours at the close of his term of office, when he was created a baronet, and, in recognition of his services to India, received the Grand Cross of the Indian Empire. He also received numerous foreign decorations. He held many municipal and charitable offices in connection with the city of London. Sir George Faudel-Phillips served the Jewish community as president of the Jews’ Orphan Asylum and of the Society for the Relief of the Jewish Blind. The cricket sub-committee was composed of Thomas Sworder, E Baker, D Fountain, WH Nicholls, E Palmer G Skerman and J Tekell. Edmund Baker was a successful brewer and had resident servants in his house in Queens Road. WH Nicholls was another brewer. Born in 1863, William Henry Nicholls, named after his father, joined his mother in the brewing business. He married Helen Louise and also set up home in Queens Rd. George Skerman was born in 1830. George followed his father’s footsteps as a boot-maker and was living at home in St. Andrew Street. John Samuel Tekell born in 1852, was the son of a hairdresser, John Martin Tekell, who had a business at 12 The Wash. John, or Johnny as he was known, was an Inland Revenue clerk who according to Aubrey Baker commuted to London for forty years and never missed a train. The service must have been better in those days. He always travelled with his umbrellas and stubby little pipe. David Fountain followed in his father’s (Thomas) footsteps as a tailor. His mother died in 1866 when he was 20 and his father followed five years later leaving David in charge of the business in Fore St. There is nothing known yet about the final member of the committee E Palmer. At the turn of the century the brewer A P McMullen, became a vice president. He was heavily involved in the Hertford Corps Dramatique which often numbered several Hertford players in its cast. He was elected Mayor in 1887, 1888 and 1896 and while in office managed to find time to play a little cricket. He was joined by H P Gripper a member of another family who were also much involved in the affairs of Hertford. The number of vice presidents gradually increased over the years. Although not all members at the same time they included Lord Desborough of Panshanger who championed the 1908 Olympic Games, Robert Smith of Goldings, Charles Wodehouse of Woolmers, R. Abel-Smith of Woodhall Park, Nall-Cain of Brocket Hall, the Bakers of Bayfordbury, G Pearson of Brickendonbury, and Lt.-Col O. McMullen. At the same time the Rev and Hon E Lyttelton became a vice president. Apart from being a significant Hertford citizen he has the distinction of being the uncle of cricketer Charles Lyttelton of Cambridge and Worcestershire. Among other vice-presidents during this period were a whole clutch of doctors such as Burnett-Smith, Hyslop-Thomson, Odell, Lawson Smith, Jones, Evers, Tasker-Evans and Gregson Williams. The local clergy, solicitors, magistrates and justices of the peace were well represented as were the local bankers, brewers, and publicans as well as teachers and the military. Almost all the remaining vice-presidents were drawn from among the local businessmen plus the sitting MP Sir John Rolleston and later Rear Admiral (later Admiral) Murray Sueter. One of the most prominent players in this period was George Nicholls who with his brother WH Nicholls ran the brewing firm of that name. Another cricketer was I A Fish, born in Sussex in March 1855. Ishmael moved to Hertford in 1860/61 when his father, James, came to take up the position of Superintendent at the Herts. Reformatory at Chapmore End. Ishmael and his wife Clara took over the Reformatory when his father died in 1878. Children arrived quickly for them but after the fifth, sadly Clara died in December 1886, aged 32. Her sister, Harriett Webber, a widow, then moved in to look after the family and take over the role of matron at the school. By 1901 Ishmael was the Governor of the school. The Skermans, father George and son Alfred George were both long serving members of the Club. They were bootmakers. Herbert Peck took over the family stone-mason business. C E Wodehouse, whose father was the Deputy Lieutenant of Hertfordshire, was JP and aldermanic County Councillor. Charles Tasker-Evans was a stockbroker’s clerk in London. His father served as Mayor of Hertford. Charles married into the Longmore family, local solicitors, who had connections with the Club until quite recently. Civil servants, a bank-clerk and a teacher were other jobs pursued by Club members at this time. In fact William Wray, a hurdle maker seems an exceptional to the rule that the majority of members were well connected local businessmen. The most obvious indication of this was the fact that the majority of the games were played on Thursdays which was of course the early closing day in the town. The annual subscription of not less than 12 shillings was also a challenging amount. One might have expected big changes in the period from the late 1920’s to 1939. The Great War swept away much of the wealth and comfort of the Edwardians. Britain after the war was different. Moreover cricket became hugely popular. It was THE national game. People attended county matches and test matches in their tens of thousands. The Empire nearly collapsed during the infamous body-line tour to Australia and the astonishing performances by Don Bradman were followed by adults and school boys alike. In these circumstances it is not surprising that cricket continued in Hertford, but it was something of a struggle especially financially. Small clubs always struggle financially; they do now and will always do so. But because Hertford got very little income when they did not play during the war and because after the war the playing membership initially fell rather than increased the debts slowly but assuredly started to mount. It reached what was an alarming figure of £150 in 1931. Fortunately at that point we had a very active Secretary who made it his mission to recruit as many new vice presidents as he could. Aubrey Baker was a member of the Baker family active in the club from the 1870’s. He was well connected in the town. In 1933 the club had 75 members; in 1934 this rose to 142; in 1935 it exceeded 200 with 50 vice presidents and a large number of social members. The deficit vanished. Details of the majority of the people recruited by Aubrey Baker remain obscure. Census details are not yet published for this period. However we do have some archival knowledge and personal recollections of how some were employed. The club President at this period had been passed on to Sir Lionel Faudel-Phillips by now the owner of Balls Park. The VP’s were headed by the Earl of Strathmore, KG, GCVO, TD, JP, the Viscount Hampden, GCVO, KCB, CMG, Lord Desborough, KG, GCVO, DL, Admiral Sir Murray F Sueter, CB, MP and Sir Patrick Coghill, Bart. The Earl of Strathmore was one of the Bowes-Lyons whose family home is Glamis castle and whose family in 2006 sold the 17000 acre North Pennine Wemmergill Moor, one of the finest grouse moors in Britain, for £5.25 millions. 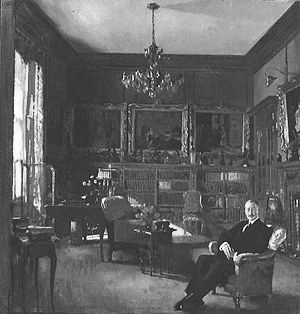 Lord Desborough, another vice president, lived at Panshanger. Admiral Murray Fraser Sueter, perhaps only a Rear-Admiral, was a pioneer of naval aviation and later MP for Hertford from 1921 until 1945. Sir Patrick Coghill seems to have been Sir Marmaduke Nevill Patrick Somerville Coghill , 6th Bt. Born 18 March 1896, he was educated Haileybury. He joined the Royal Artillery in 1915 and served in France until the armistice and afterwards in Turkey and Iraq. He commanded 86th (Hertfordshire Yeomanry), He served as a Deputy Lieutenant of Hertfordshire. One especially interesting vice president in the inter war period was Sir Otto Beit who lived in Belgrave Square and at Tewin Water. He was a member of the club for over a decade and when visiting the Faudel-Phillips would look in at the cricket. He was born in Hamburg, Germany, into the Jewish family of an affluent the Hamburg trader. He came to England in 1888 where he joined a stockbroking firm. In 1890 he went to South Africa to gain experience in the diamond industry. In fact he got side-tracked into the development of Rand Gold Mines before returning to London in 1896. He was a friend and financial backer of Cecil Rhodes and played a significant part in the Boer War. Later he devoted his time to philanthropy, making generous gifts to Imperial College and the University of Cape Town as well as to the Victoria and Albert Museum. But he is probably best remembered for funding the Chirundu Bridge across the Zambezi River linking Zambia and Zimbabwe and at the time linking southern Africa to East Africa although this was only one of several major bridges he funded in Africa. Among other VP’s and Playing members of the club there were at least four doctors, various brewers, solicitors, bank staff and accountants, two farmers, and several local business people such as R Addis (of toothbrush fame), H Norris, A Purkiss-Ginn, SF Brown, AR Willson, and Ashley T Webb as well as school teachers from both the grammar school and Haileybury. Incomplete as the record is for this period one can’t help feeling that the club still drew in the great and the good from the town. This view might have been strengthened had one attended the club Grand Ball held in the Shire Hall each year which was thought by some to be one of the town’s main social events of the year. The annual Dinner was regarded as a similarly prestigious occasion, by some. Notwithstanding this the annual subscription, now two guineas, was probably not high enough to put off a determined player of lesser means even if it would have been less expensive to play at Bengeo, Hertingfordbury or the Brewery. Even so few working class young men joined the club. I would suggest that in the 1930’s its image was top hat rather than cloth cap. Image is, of course, important but what you see depends upon where you are looking from. The position in 1939 was that there were 63 vice presidents plus Sir Lionel Faudel-Phillips as President. Among the vice presidents were the Earl of Strathmore of Woolmers and Glamis Castle in Scotland, Viscount Hampden the Lord Lieutenant of Hertfordshire, William Grenfell (Lord Desborough of Panshanger), Sir Patrick Coghill the Deputy Lieutenant of Hertfordshire, Admiral Murray Sueter MP., and Sir Owen Wightman. Of the remaining 57 members forty can be identified as doctors, school teachers, and local businessmen, local councillors, magistrates, lawyers, and accountants, brewers and publicans. Let us now fast forward towards the present. Another World War, huge population growth, large-scale immigration, and major economic changes are only some of the factors which have borne down upon the country, Hertford and inevitably, Hertford Cricket Club. By the end of the war Balls Park had been sold to Herts County Council and the Faudel-Phillips had moved away. From that point the President has always been selected from within the Club increasingly in recognition of their unstinting work over many years. The vice presidents are now almost entirely drawn from people who have positively supported the club in some way. Past captains and players figure prominently. So too do ladies, belatedly recognised for their invaluable background work, although the first two were the redoubtable Miss West of Christ Hospital school and the even more redoubtable Miss Wingate, Principal of Balls Park Teacher Training College for Girls. The “Quality” has disappeared. So too have almost all the active local businessmen except those who have either played for or have boys playing at the club. A significant proportion of the vice presidents are now retired from work. Many among this group worked in the professions including teaching, medicine, the law, banking, insurance, policing and financial advising. Most of these have been employees rather than employers. The players similarly present a different picture from that of the 1930’s. Partly this must be because we now run more sides at the weekend so more people are involved but even so there is a much greater range of occupations. Accounting, teaching, finance, etc., are still represented but so too is information technology. IT experts were unheard of even forty years ago. Today, a significant number of players are self employed but thankfully unemployment among members has been uncommon. Part-time work now figures prominently among the younger members who are still at school or university. They thus maintain the link with local shops albeit mainly the tills at the local Tesco and Waitrose. Hertford is not a town with a large visible ethnic population so it is not surprising that few have penetrated into the cricket club. One of the first to do so played just after the second World War, another played for several years in the late 1960’s. More recently the club has welcomed several Asian and African players and now no weekend would pass without one or more taking the field. Finally while considering inclusivity it should be noted that although the club has tried and failed on several occasions to establish a women’s team one young lady has on merit played in the men’s team and another is playing for the main County Ladies XI. There is little doubt that the club has always thought of itself as welcoming and open if not pro-active in attracting players from all groups. However, in the 1880’s and in the 1930’s it clearly had a very restricted intake. By 2010 this was not really the case. Even so consider this. The youth section of the club has about 150 members each year. Beyond the age of ten or eleven the number of girls is usually less than two. Moreover there are no boys from Pinehurst, none from Hornsmill and only one from Sele Farm (and his father was a Hertford colt 20 years ago). Cricket is still a minority sport. It does not appeal to everybody. This survey indicates that the nature of our membership has changed over the years and also suggests that the reasons for becoming a member have changed. Before 1950 people joined the club either because they were really interested in cricket or simply because they felt it their duty to support local ventures. Some doubtless used their membership for self publicity. Since 1950 and certainly since 1970 the vast majority of members have had an interest in cricket or the club. The concept of civic duty has declined. However the club seems much more representative of the population of Hertford as a whole than it was before 1945. It is not now a private gentlemen’s club, it is truly a community club. This page was added on 20/03/2012.